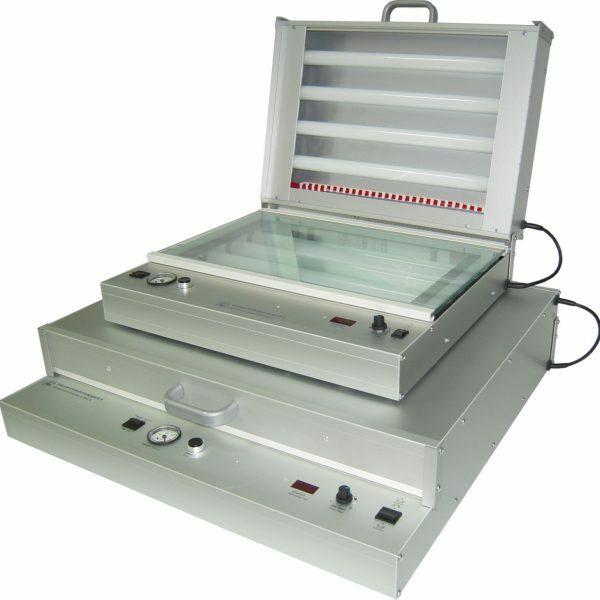 The Model 3000 is an extremely well proven single drawer, double sided UV exposure unit, designed with medium volume production in mind. 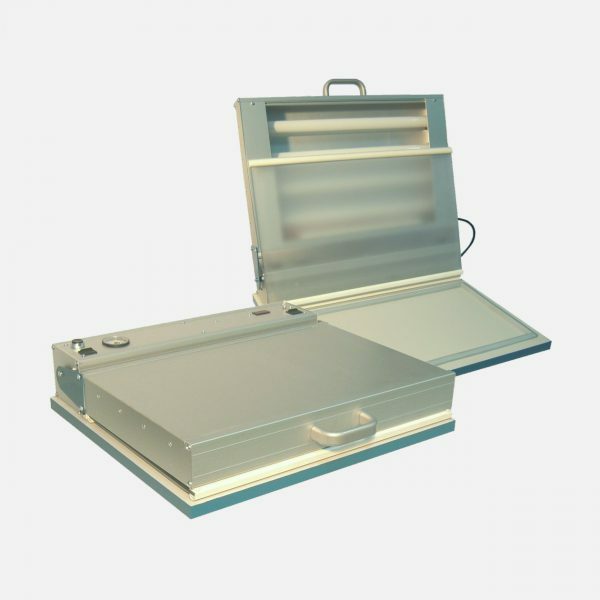 The Model 3000 is an extremely well proven single drawer, double sided Ultra Violet exposure unit, designed with medium volume production in mind. 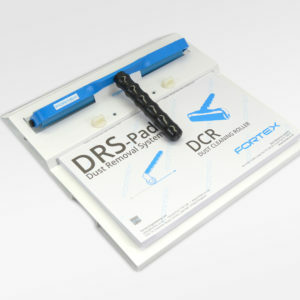 This unit is ideal for fast primary imaging on dry film resists. It is also suitable for those users that require occasionally to expose liquid photo-imagable solder masks without the expense of a dedicated unit. 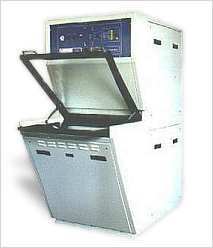 All the main functions of the Model 3000 UV Exposure Unit are controlled by a dedicated microprocessor with all variables and options such as exposure, vacuum delays and vacuum modes being held in each of its seven memories. Ultra Violet Exposures are controlled by the inbuilt light integrator system which accurately measures the amount of UV energy available ensuring repeatable exposures throughout the life of the lamps. As standard, the Model 3000 has a well proven low profile vacuum frame which includes a specially designed hard wearing moulded seal. This facilitates very quick changing of the polyester sheet and a fast evacuation of the vacuum drawer. The system also helps to eliminate upper photo tool shift. In addition full or soft vacuum can be selected within each memory and a variable vacuum delay can be entered to ensure the vacuum is stable before the exposure commences. The Model 3000 is a well proven exposure unit with a fast and accurate capability. Engineered to last and with ease of maintenance in mind, the Model 3000 will give many years of reliable hard work. GLASS TO GLASS VACUUM FRAME: A low vacuum glass to glass system that can be factory fitted to replace the standard embossed polyester to glass assembly. 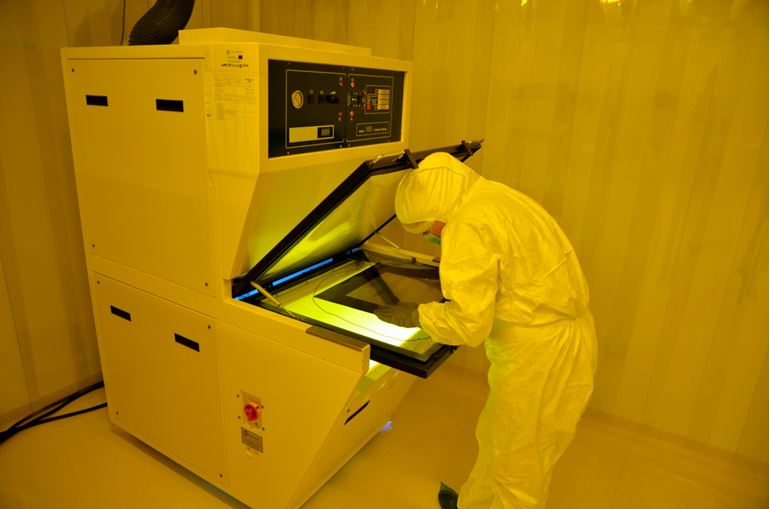 This unique system allows PCB panels of a variety of thickness from O.2mm to 3mm to be processed at a high through-put and with accurate alignment of photo tools. 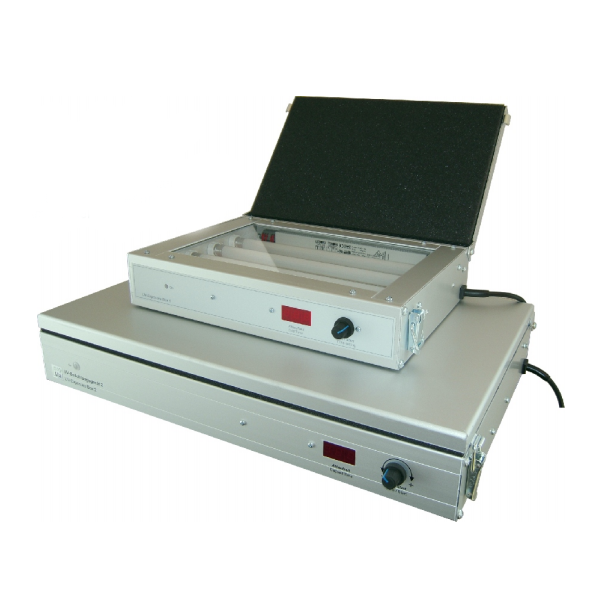 A vacuum retention system is also available.Within this range of draw type UV exposure units further models are available that can give much increased productivity and photo-tool accuracy with temperature controlled ‘ SUPER COOL UNITS ‘ having double drawer loading for extra speed.